29 May Single most effective way to make your brand or service stand-out from the clutter. Recently I was a part of a group (mostly comprising of business owners) and we were discussing the importance of marketing & sales in our businesses and how we can improve this function in order to generate more top line sales. I feel since the terminology has changed but the basic principles still remain valid. One of the important points that come under Acceptability is Consumer Behavior. Even before SMEs or entrepreneur ventures out to launch or introduce a service they need to ensure whether there exists a market for their product or services. What does their targeted customers or audience perceives their product and services? Entrepreneurs often forget the importance of consumer behavior and get engrossed in other 4 Ps of marketing. It is the customer who is the core of the organization and all tasks (activities or product or services) should either make difference to his life by making his life easier. We call this approach as Customer centric approach. Evaluate your promotional ideas or campaigns, if they are adding value to your customer, or they are just another piece of boring advertising. Consumer behavior decision examines the “processes, especially any particular triggers that compel consumers to buy a certain product.” This is vital for entrepreneurial ventures. Case study: Gillette launch in India. When international giant brand Gillette entered the Indian market, way back in 1984, they brought their best sellers from US market which was primarily twin blade razor with a plastic tab on top, which enables easy removal of hairs which used to get stuck between twin blades. They did comprehensive research on this product at MIT University amongst a group of Indian students who were studying there. The outcome was Gillette’s twin-blade product in India bombarded, they recognized that their best product failed to compel & satisfy Indian users. People who bought the razors were not satisfied with the shaving outcome. Indians tend to have rough or hard skin and hence the beard hair needed more precision shaving products. India as a country always had issues with running tap water, the majority of the people used stored water in a bowl (popularly known as Mug) for carrying out their shaving regime, due to this their key USP of the plastic tab between the blades had failed since it required running tap water. Indian water is hard water compared with western countries wherein the water is soft, which failed to deliver a good shaving experience. Once Gillette understood this consumer segment, the company created a new customized product. Gillette Guard, the first product created just for the Indian market, was introduced in October 2010. It was priced at just Rs15 per razor. At Rs 5 for a refill cartridge, Gillette Guard met customer expectations on safety and ease of use. In Business terminology, we call this as “reverse innovation” i.e. to develop a product that would satisfy the needs of the lower income customer. They tweaked their communication with some more aspirations around the brand by asking the targeted customers; Are clean-shaven men more successful? Did the nation prefer clean-shaven celebrities? And the big one: do women prefer clean-shaven men? The media picked up the campaign and brand got significant reach in the minimal time span. Today, Gillette India is one of category leader in shaving products sector. Above case study tells us the importance of Reverse Innovation. In today’s technological advance systems, it’s easy to create a product or a service but it is very difficult to find a customer who would pay for your product or services. 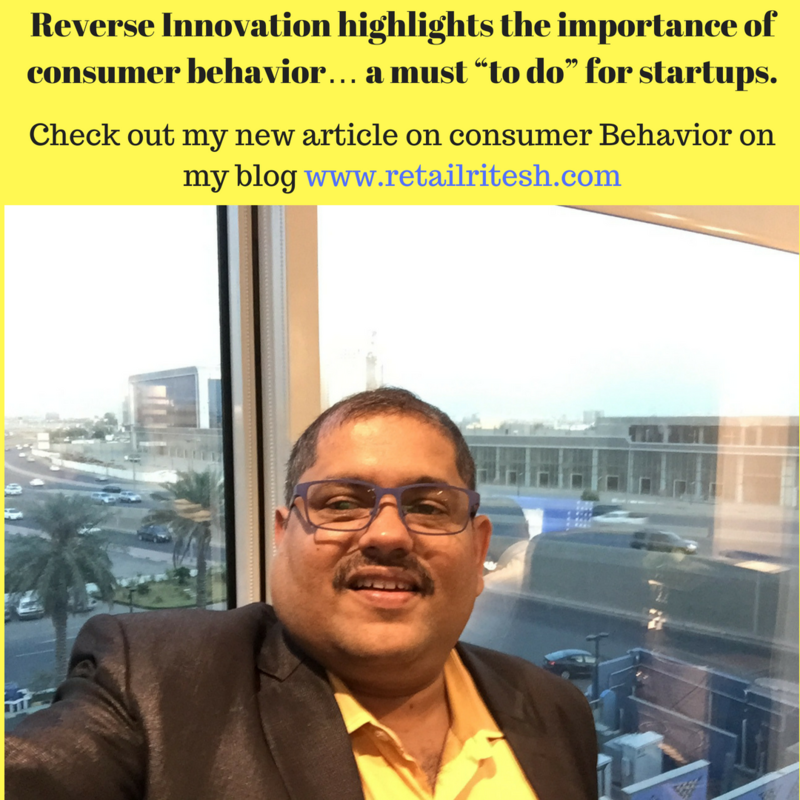 Hence understanding consumer behavior is of utmost importance even before venturing out with any kind of start-ups.